​Pep Guardiola has suggested that any potential deal for new Barcelona signing Frenkie de Jong could have risked disrupting the harmony in the Manchester City dressing room. The Dutch starlet was recently confirmed to be joining the Catalan giants from Ajax in the summer in a huge deal, with the 21-year-old set to earn £300,000 a week at the Camp Nou, in a deal which is set to cost the La Liga side up to £74m. Former ​Barca coach Guardiola has warned against such staggering investment in wages at current club ​City. As quoted by ​Daily Mail, the Spaniard said: “We try to keep the harmony in the locker room with the wages. De Jong became the latest in a list of high-profile targets which City have failed to sign in recent times due to failing to meet their wage demands. ​Alexis Sanchez, Jorginho and Fred are among the stars to have opted for lucrative moves elsewhere despite City’s interest. Star players such as ​Kevin de Bruyne and ​Raheem Sterling’s wages apparently go as high as the £300,000 a week barrier, and Guardiola has insisted that such a hierarchy is important within the club’s wage structure. “One of the good things that City have done is keeping the balance,” Guardiola added. “The reality is that it’s not just one or two teams paying a lot on wages. There are many. “Before the rumours were that it was just PSG and Manchester City. That is over. There are many and sometimes we can’t compete with that. 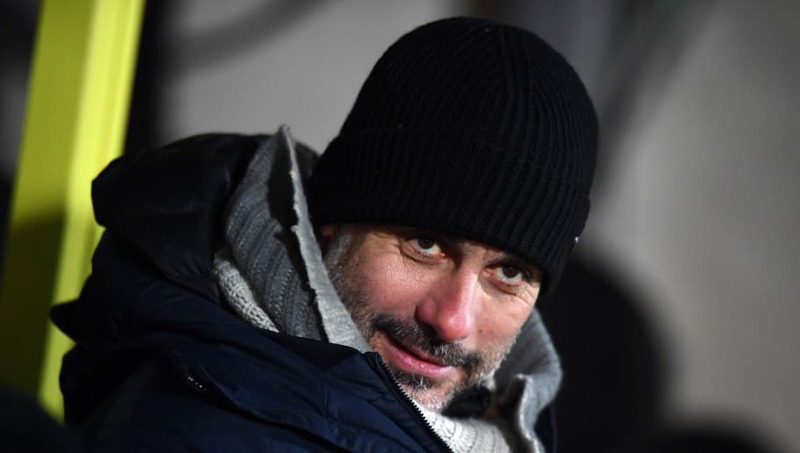 Guardiola has suggested that a solution to the difficulties in the transfer market could be the promotion of young talent through the City ranks but admitted that Saturday’s FA Cup clash with ​Burnley will not see the inclusion of the academy prospects at his disposal. City host Sean Dyche’s Burnley in the fourth round of the FA Cup at the Etihad Stadium on Saturday, looking to complete a successful week which has already seen the Citizens seal their place in the Carabao Cup final.